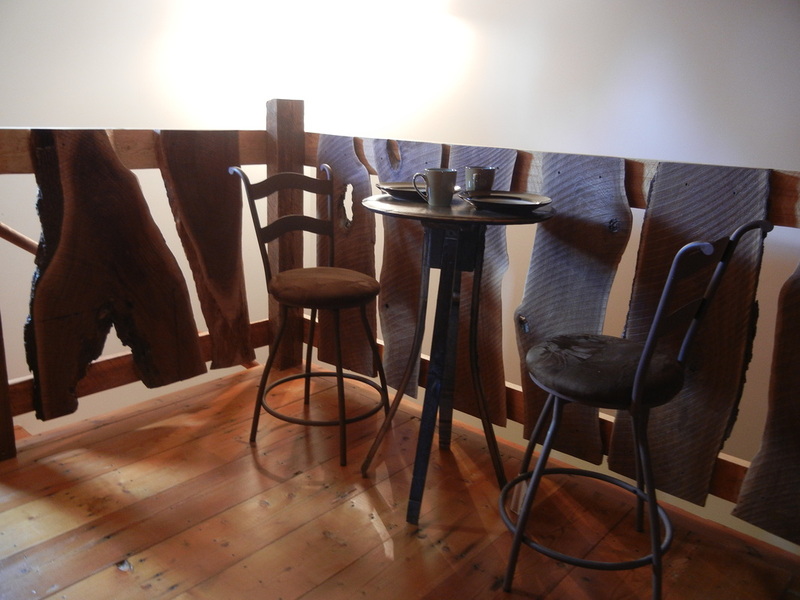 Great place for playing cards or eating breakfast! The wooden soaking tub for two, a great place to relax with a glass of LSL wine! 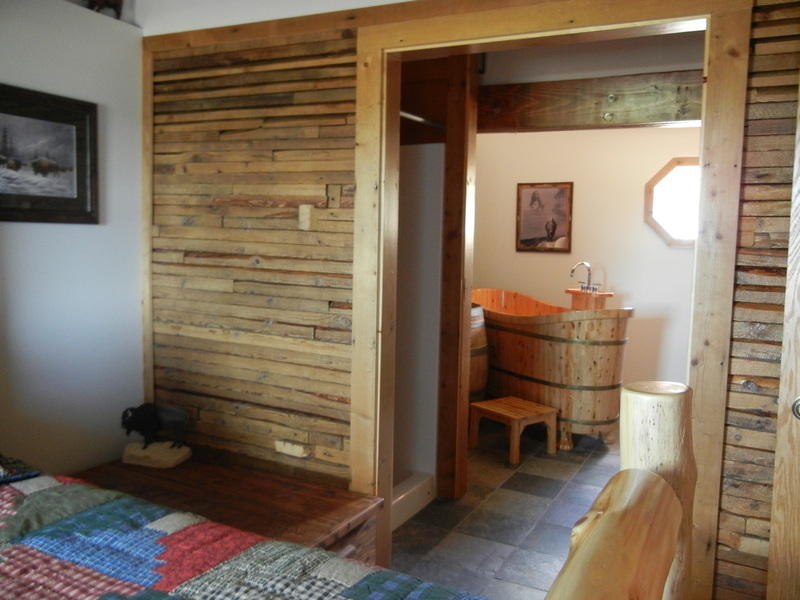 The Buffalo room features rustic decor and a private bathroom with a fantastic wooden soaking tub for two. The deck is a great place for watching the buffalo roam. Comfort is the main focus of this unique room. Price: $179.00 Tax not included. Price includes complimentary bottle of wine in the evening and 3 course breakfast in the morning. Beautiful view of Little Swan Lake at sunset. 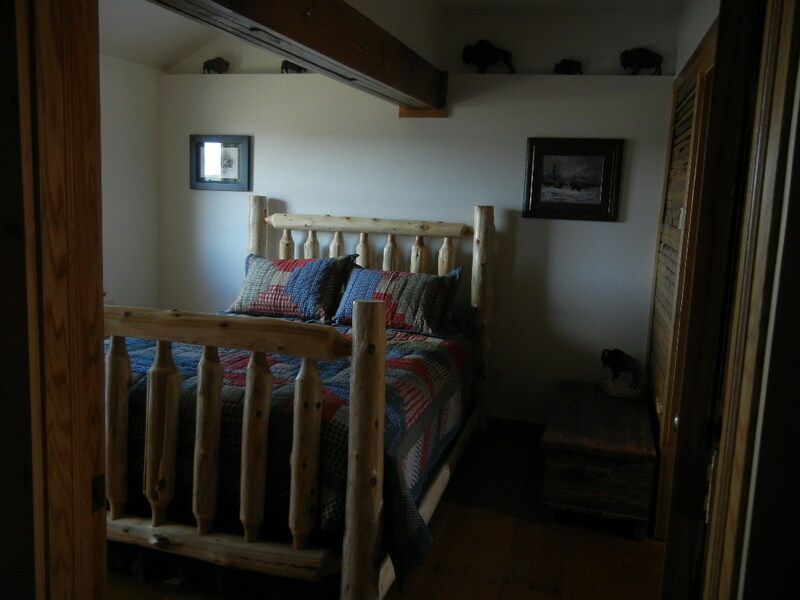 Enjoy the comfort of the queen sized log bed.